If you are at all familiar with Training Between the Ears (TBTE) you’ve likely heard of two of our most important concepts – The Grade School Model (GSM) and Melting a Mountain. What are these concepts and what on earth do they have to do with how to solve behavioral issues?? The Grade School Model (GSM) in TBTE is the same idea we use quite naturally and with great acceptance and success when teaching most things to humans, such as math or driving a car. One won’t know how to do sixth grade math without first learning first, second, third, fourth, and fifth grade math. A kindergartener doesn’t immediately start doing calculus. A new driver doesn’t start driving on the highway without first getting comfortable with how a car works and driving it around a parking lot and some neighborhood streets. Let’s assume we have a dog that is fairly comfortable with her female owner and solicits affection and handling from that owner. Let’s also assume that she feels the opposite way about her male owner – she is uncomfortable when he moves around the house and tries to avoid any interaction with him – even if it involves food which she loves (whether he is giving it or the female owner is). Let’s also assume that most every movement made by the male owner is met with barking. 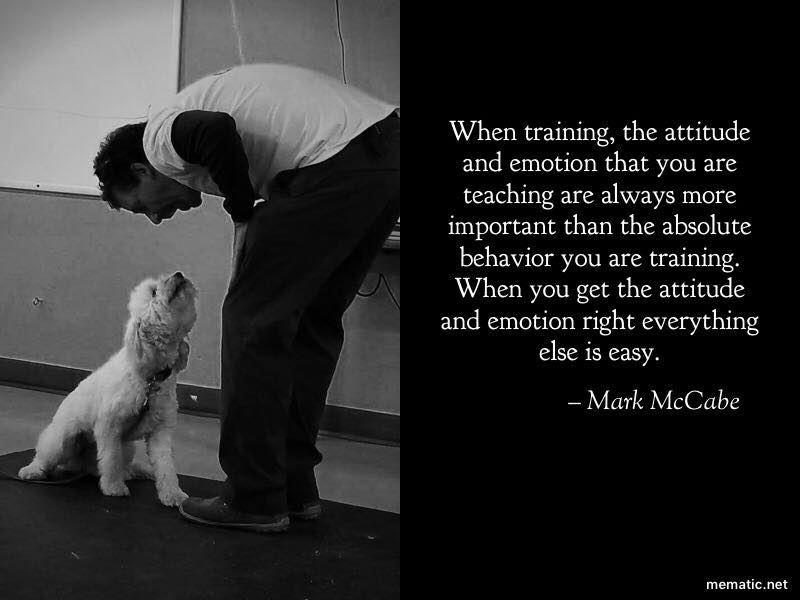 Many trainers focus how to deal with the dog as the point of the problem. As an example, it would be a classic self-defeating dilemma to say that food won’t work because the dog wouldn’t take food when the male owner is present. That’s the equivalent of saying that your child’s first-grade math isn’t helping them because your goal for her is that she become a physicist or a doctor or an architect, all of whom will need very high-level math skills to succeed in those kinds of work. When thinking about behavior that we identify as a problem and which we wish to change, owners almost always, and most trainers most of the time, focus on what they can do directly at the point of the problem. There is a focus on solving the problem based on the end thing that we want to change, or metaphorically, focusing on 12th grade, assuming that the basic problem is that the dog is afraid of or uncomfortable with this one person, the male owner. In reality, the problem isn’t the male owner, he’s the symptom. The problem is fear or anxiety. We could even postulate that this dog very likely, and demonstrably, has a high baseline anxiety level. If we look at this dog’s behavior and emotional state on a broad basis it is likely we would find evidence of low, moderate and possibly even high levels of fear or anxiety that has little or nothing to do with the male owner. If that’s true then the dog’s behavior and emotional state relative to the male owner are our dog’s training equivalent of 12th grade. That is not where we should be trying to solve the problems for this dog (emphasis on FOR THE DOG). If you solve the problem for the dog you will solve the people’s problem. If you focus on solving the people’s problem (the dog’s behavior that they don’t like) you may come up with some things that lessen the problem for the people but they may have to do those things permanently (i.e. management) because the dog may still have a problem – it will still have fear and anxiety. If you focus on solving the dog’s problem when it’s solved it’s solved and no one has to do anything about it anymore.). We should begin, just as we would in teaching our child math, in 1st grade….or maybe even kindergarten if the dog is not prepared for 1st grade. As trainers, we should always meet the dog where the dog is at, not where we think the dog should be or at the point of its worst difficulties. If we focus on things we could do and teach the dog that would help to resolve its fear/anxiety relative to the smallest challenges we can identify, or even just teach skills, such as relaxation skills, Intermediate and Terminal Bridges, Targeting and Perception Modification, in an environment which is the least challenging possible for the dog we can start to change the basic thinking and emotional structure of the dog. If we begin to change the basic nature of how the dog thinks and feels in simple environments then we can use the same tools that helped to do that in now slightly more challenging environments. When we do this, which is following the GSM, we end up doing what I call melting a mountain. Instead of trying to fix or control problems at their worst point, which is like trying to scale a mountain and can be very hard (for the humans AND the dog) and very often is not successful with the most difficult dogs or situations, we focus our energies on truly changing the dog around issues and situations that don’t even matter to the owner and which many trainers wouldn’t even focus on. By doing this we start to melt the mountain. When we melt the mountain something that at one time was, perhaps a level 5 in difficulty and might have been somewhat difficult to work with (i.e when the husband is moving around in an adjacent room but not in sight and originally the dog couldn’t take food in this situation) things become less difficult. If we’ve created “overwhelming success” (another really key element we focus on in TBTE) for the dog with levels 1-3 and are in the process of creating such success with level 4 challenges, then what was previously a level 5 challenge is now actually similar in difficulty to what were originally level 2 difficulties…..and now it is very likely that the dog would be able to take food while the husband is moving around in an adjacent room. Soon enough the things that were previously impossible to affect with food or others tools now become easily effected by those tools and the animal and humans find that level of training no more difficult than they originally found our introductory levels. In fact, they often find them easier since they have both fundamentally started to change and they have learned to have confidence in the humans and our training/communication system. Lots of trainers and methods do, to one degree or another, focus on some version of the GSM and a sense that there is something fundamental in the dog that has to change….but they misdiagnose the problem and thus use less effective tools to make the change they feel needs to be made and those problems can make the training much harder on the animal, and the humans, then it needs to be, and, may significantly limit the possible success the animal and the humans can have. Sometimes it limits the possibility of success to a point where the owners deem the process as overall not successful enough and may give up on the dog. So, what are alligator swimming lessons? Well, it’s an idea that relates to what is hopefully an apocryphal story Mark was told once, hopefully not something that is ever actually done. He was told a story by someone who grew up in Louisiana bayou country that if a child hadn’t learned to swim by a certain age, typically because they were afraid of the water, someone would take them out in a boat to a place where they could see there were alligators. They would then, and you can see here why we hope this story was apocryphal, toss the kid off the boat and move the boat a ten or twenty feet away. The idea being that the child’s fear of the alligators would immediately override their fear of the water and they would swim to the boat to get out of the water and away from the alligators. Much of the advice regularly given in responses to our example seems akin to alligator swimming lessons. Things like, just have the man take the leash, walk the dog, feed the dog etc. All of these attempt to basically force the dog to overcome her fear of the man by either putting her into a position where she can’t escape the man (thereby hoping the dog will learn that it was actually safe….although the dog may never actually feel that) or using some essential need, such as meals, to push the dog through her fear (often with the trainer seeing and explaining this as a reward based way of helping the dog to feel better about the man by association when in reality the dog may just feel that they man is an obstacle that he has to work through and quite possibly never come to feel well with the man). Other advice likely to be given would seem to focus more on something trying to address an underlying problem, but either diagnose the wrong problem, such as seeing the dog as spoiled or hyper-attached to the woman or, accurately diagnose the fear/anxiety cause but then prescribe tools which, while they may work (or they may not) are by far not the most dog friendly, easiest or most effective tools. Focusing on “leadership”, as an example, is essentially saying to the dog, “hey, if I tell you to walk through fire you must do it…..and if you do you’ll survive.” and then that is often put forward as “relationship based training”. Another example of what can come from either misdiagnosing the problem or prescribing the wrong tools (less effective or unnecessarily harsh) are responses which suggest that the dog is over privileged (spoiled) and therefore needs to lose those “privileges” such as being with the mom, being on furniture with her, her walks need to be only with the person she is not comfortable with rather than with the woman, etc. All of these are both ineffectively punitive – the dog cannot possibly make the connection that if she were to behave differently it would be able to enjoy those things again (like having a meal in circumstances she is not afraid of or enjoying time with someone she is very comfortable with and attached to) and unnecessary to solve the problem. That is not to say that any of these things could not solve the problem, at least the human problem – in some cases they could and would but they would often not be the quickest, almost never be the most dog friendly, and would very predictably not solve some of the worst cases, certainly not for the dog….especially if, in fact, the dog does actually have generalized fear/anxiety issues. Now you’ll have to come up with a whole other plan to solve each and every other instance where you see those kinds of problems. 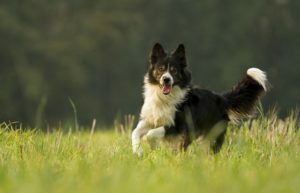 If you had used the systematic approach from the beginning with tools that are specifically designed to help an animal go through a meaningful change to overcome fear/anxiety on a general basis then you would have solved most, and possibly all, of the animal’s issues or at least set the basis for quickly and easily, for the dog and the human, addressing any remaining or new specific issues. In TBTE we would always suggest that we look at the lowest level of behavior, thinking and emotion that we can see is in some way related to our target problem behavior and start to work on the problem there. Doing so will allow us to see how a wider range of tools and concepts might be able to help the dog and can make the training a much more comfortable process for the dog and the owners. Surprising as it may sound, this approach is also often actually much faster…..and of course, if it’s successful it would have to be faster than anything that either might not be successful or might produce only a very partial success. If we approach a problem like this properly we are solving the WHOLE dog, not just the most glaring problem and doing so in a way that can feel good to everyone and have much broader and more permanent success. 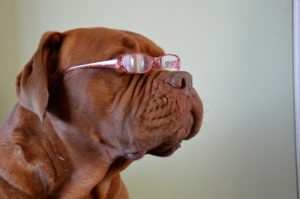 Lastly, situations such as the one in our example bring up the point of how often trainers look at behavior they or the owners don’t like as something where the dog is wrong and the behavior has to be punished as opposed to looking at the dog as having a problem that is not just creating difficulties for the humans but is also making the dog’s life difficult and trying to solve that problem for the dog. If the dog in our example is hyper-attached to the mom because she is fearful of many things and the dad is just highest or most bothersome (to the humans) on the list then the dog is not living in the lap of luxury, although it would seem very likely she enjoys closeness to the mom, but she living in some level of fear or anxiety. Her hyper-attachment to the mom is a symptom of that AND also a reinforcer of the fear (which is one of the reasons some of the less dog-friendly solutions offered can work, they remove ONE of the reinforcers of the fear/anxiety). Trying to overcome fear or anxiety by making the animal more uncomfortable every time it exhibits its fear or anxiety is a pretty hard way to solve the dog’s problem. The most compassionate, humane, and efficient way to help a dog is to always be aware of the dog’s (and human’s!) GSM and adhere to it. 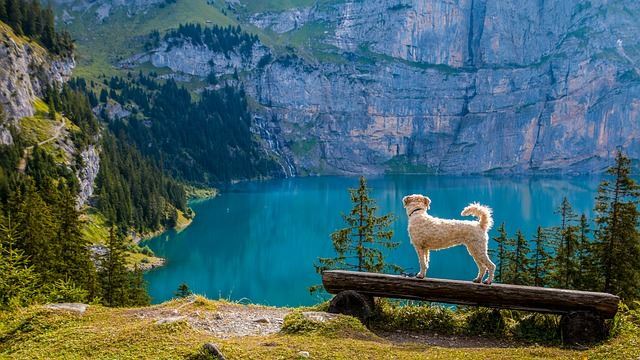 When a dog feels well about the training process and has overwhelming success at every level the human will have overwhelming success at solving the dog’s problems and by extension the human’s problem… and that feels great for everyone!